A informative guide to understanding solar charge controllers and their purposes and uses for off-grid solar systems. 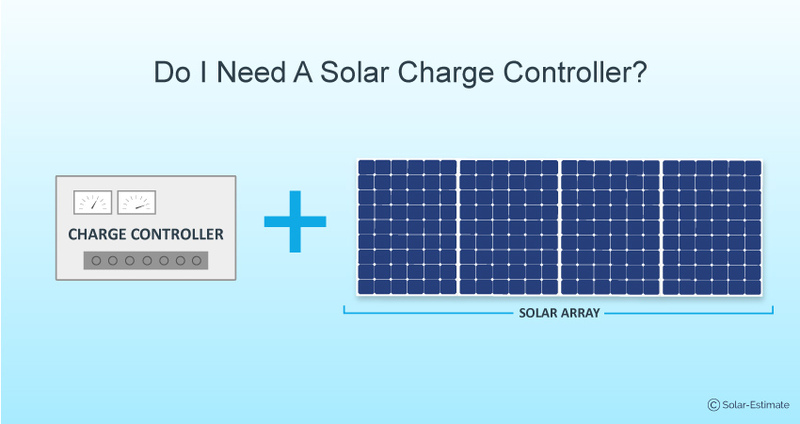 Solar charge controllers are primarily used in off-grid solar systems. If you’re planning on installing solar in a remote location like an off-grid cabin, or in a mobile setting like on a motorhome or over-landing vehicle, you’ll likely need a solar charge controller. But if you’re connected to the electric grid you won’t—even if you have a battery backup system. A solar charge controller is an important component in off-grid solar power systems that are connected to battery systems. It serves as a regulator for the flow of electricity, limiting how fast electric current is added to batteries like the deep-cycle batteries used in many outback power systems. Such batteries are more prone to degradation because of overcharging and over-voltage issues, which can reduce their lifespan and performance. Do solar panels need a charge controller? If you have a home solar system with an energy storage system that’s tied to the grid, you probably won’t need a charge controller to control battery charging. Those systems are designed to harvest solar electricity, charge the battery as needed and put extra electricity back on the grid without impacting the health of the batteries in the system. What are the best solar charge controllers? There are two main types of solar charge controllers, Maximum Power Point Tracking (MPPT) controllers, and Pulse Width Modulation (PWM) controllers. 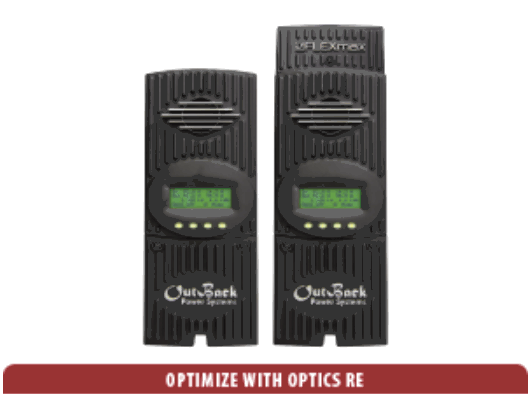 While MPPT Controllers are more complex and generally more expensive than PWM controllers, they now are more used and recommended because they allow more flexibility in photovoltaic panels and off-grid battery systems. They also offer some other cost-saving benefits. Some charge controllers also have features like Low Voltage Disconnect, which allows the system to turn devices connected to the disconnect off to keep the battery from draining too far. So lights and small appliances can be connected to the disconnect and be shut off when they’re not essential loads, like a refrigerator. Which is better PWM or MPPT? Modern MPPT charge controllers are generally better for larger systems. A PWM charge controller is good for smaller systems with limited solar panels or batteries. Though a PWM solar charge controller is less expensive than a MPPT it’s much more limited and charges less efficiently, storing about 80 percent of the energy from the solar panels in batteries. The device reduces the voltage coming from the solar panels to charge batteries at the proper voltage for them. PWM charge controllers are designed to work with solar panels and batteries of the same amperage and voltage, whether it’s a 12, 24, or 48-volt system. The other type of charge controller, MPPT, is more flexible and more efficient at charging. An MPPT charge controller is capable of converting 90 percent or more of the energy from solar panels into stored energy. While MPPT controllers perform the same function PWM controllers do, they’re also able to work with multiple voltages and can take higher voltage energy from solar panels and step it down to the proper voltage for the batteries, delivering the energy to the batteries at the proper current. In a system with an MPPT, you could use solar panels with an open circuit voltage of 31 volts and the MPPT will step that down to charge 12-volt deep-cell battery banks, for instance. Another advantage of MPPT systems, despite their higher costs, is that they can handle high voltages at lower currents. As such, smaller, thinner wires can be used to connect solar panels to the controller, leading to cost savings. How do I choose a charge controller? Assess your needs. If you’re making a small solar array and battery system, like something that could power a two-room cabin, a boat or an RV, consider a PWM system. If you’re building a larger or more complex system that could power an off-grid home or bigger cabin, consider an MPPT system to give you maximum flexibility in solar panels and battery systems. The handy tools at Solar-Estimate.org, allow you to input you location, anticipated project size and more, to get an idea of how much such a solar system would cost to build. If you’re considering a PWM system make sure you’re sizing it appropriately for the solar panels and battery and remember any time you change the batteries in the system you may have to change the power controller, particularly as more advanced batteries like lithium-ion batteries become cheaper and more available. Even though off-grid systems might not qualify for all of the incentives that an on-grid solar system can qualify for, consider talking to a solar installer. They’ll help you develop the best system for your needs and make sure that the charge controller selected for the system is the best for it. They’ll also help you access any incentives you can qualify for, like the solar Investment Tax Credit and any state or local incentives that will help reduce the cost of your solar system. Working with a solar installer can also make sure your system has a warranty for the workmanship, something you won’t get with a do-it-yourself (DIY) solar system. Such DIY systems might make sense when it’s a small solar kit, but larger systems get more complicated and might not be an ideal option for a layman to install. Connect with qualified solar installers at SolarReviews.com.